We are indeed beginning to witness a turnaround in the management of the NYSC that has become the significant unifying national institution. 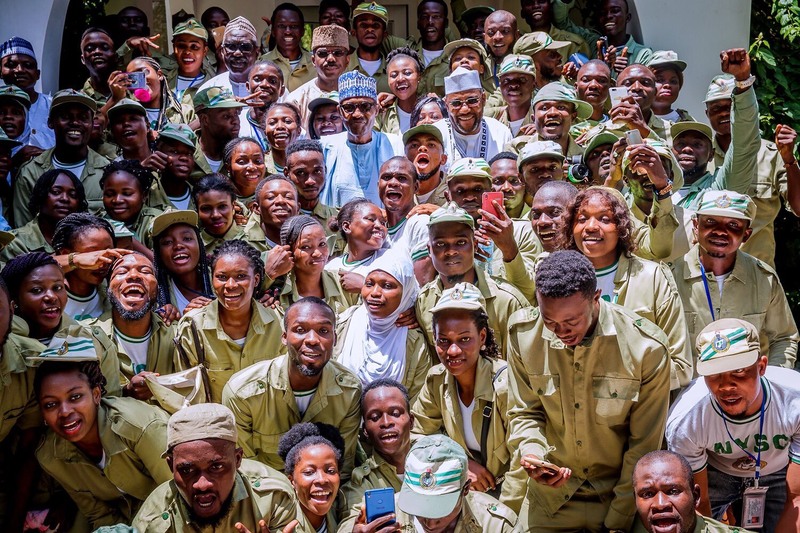 “NYSC which is known as National Youth Service Corps was founded in Nigeria in the year 1973 for graduates of universities and graduates of polytechnics later joined. NYSC scheme is set up by the Nigerian Government to involve Nigerian graduates in building and developing the country. Before the government start posting them to different states, they undergo a kind of orientation which is basically controlled by the military, this orientation lasts for just three weeks, at the end of three weeks, they are being posted to their PLACES OF PRIMARY ASSIGNMENT which is popularly known as “PPA” During this service these young graduates are being posted to different parts of the country, so that they can mix up with other people, learn new cultures and also use their knowledge to develop the places which they have been posted to and every month end these Corp members receive a token from the Federal Government of Nigeria. I am looking up to service in the NYSC for so many wonderful reasons, although most of these young people have lost their lives as a result of Religious, Ethnic and Political problems, but NYSC has a lot of benefits which can make a young person look up to service. Service in NYSC helps to build the moral life of a young person and also teach on how to be independent and self-reliance. Am looking forward to this service so as to acquire new skills and also share the ones I know, serving in the NYSC promotes unity of the nation, it gives us a sense of belonging, it encourages youths when they see the performance of other young people, service will go a long way in helping us contribute to the ongoing growth and development of the national economy and whenever these young people are assigned to any state, they are not just there for themselves rather they are representing our country Nigeria, during these service year. These young people tend to see different kinds of religion, so they are expected to tolerate any kind of religion. I look up greatly to this service because currently in our society if that certificate is not acquired, a graduate finds it very difficult to acquire a reasonable job and also considered ineligible to work in government firms and most private firms. In conclusion, I look up to this service because judging from the recent events about NYSC CERTIFICATE SAGA in our top government offices, without the NYSC certificate most positions as regards to politics in our country will be very difficult for an individual to attain, because for you to start talking about some positions in Nigeria as regards to politics you must make sure that you have an NYSC certificate or an exemption letter from the NYSC office.